Sometimes having a tribe of kids and working full time gets to be too much for me. This results in a meltdown and inevitably a family meeting. We had one of these last week and the concept above came about because of it. I’ve mentioned the concept to a few parents and they think it is a great idea, so I thought I’d share it here. Here’s how it goes. Each child should do one small job every day and one big job every week. Depending on the age of the child, the small job could be bringing their school bag out of the car and putting their lunchbox on the bench, or unloading the dishwasher – something that’s done every day. The large job could be vacuuming, hanging out washing, cleaning a bathroom, cooking a meal. Again, age appropriate. They say it takes two weeks to make a habit, so don’t worry too much if it takes a while to get the hang of it. We decided that the children could decide for themselves what the jobs should be, and that will help with the concept sticking. One small job each day, one large job each week. It seems to be working well so far for our mob – I’d love to hear how it goes for you! 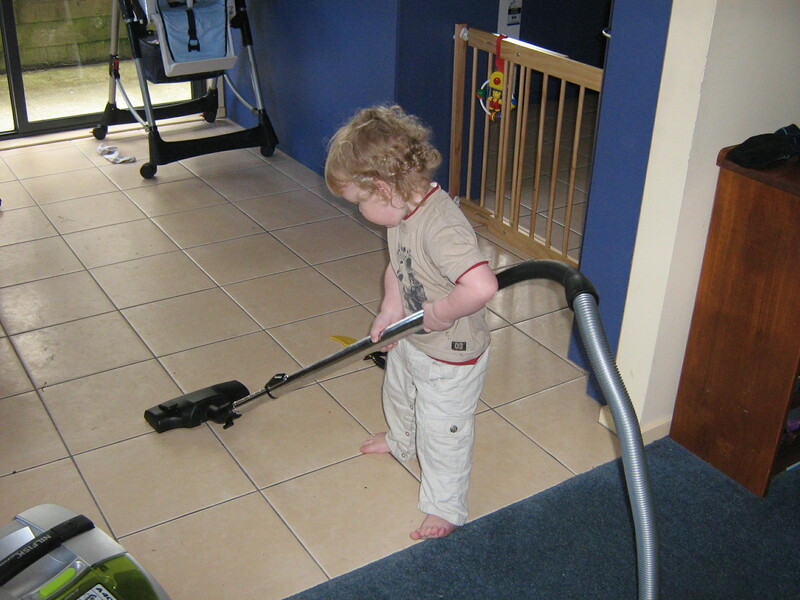 The small boy was much smaller back then and much keener on housework! 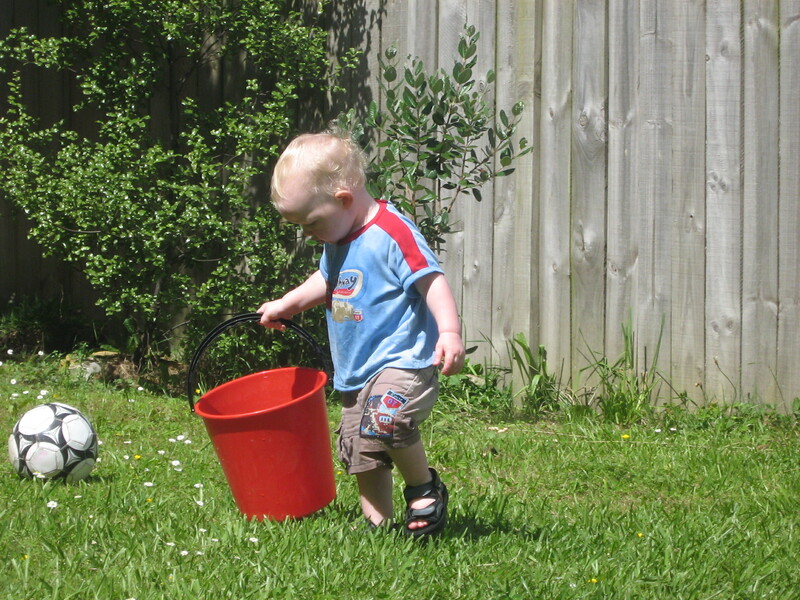 The other small boy was also much smaller then, but still likes to water the plants. Thank you for sharing. When the kids are old enough they will be splitting chores for sure. Keep passing the tid-bits.